“My Husband the Stranger,” “Still Single” AND “Still Dating,” the provocative books by Debbie Sue Goodman, will be discussed and she’ll sign copies at the DePaul U. bookstore from noon, June 23. Comic Debbie Goodman does a show Jan 14 at the Heartland Cafe’ based on her experiences as a single in Chicago. Comic Debbie Sue Goodman has a new book out. 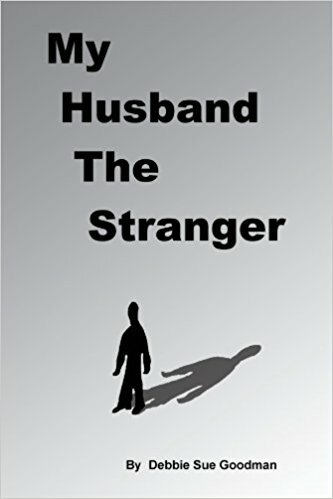 My Husband the Stranger, and will tickle your funny bone Sept. 24 at the Heartland Cafe’, 7000 N. Glenwood Ave.
Is Being Single Funny? It is to local comedienne Debbie Sue Goodman, who gets laughs in her stand-up routines based on her two books she wrote: Still Single and Still Dating. A pretty brunette, she keeps ’em giggling and gets males’ attention, but so far she’s still available. Debbie Sue has been an extra in many movies made here and she’s a popular radio and TV guest. Comedienne Debbie Sue Goodman, author of Still Single and Still Dating, will do her stand-up routine Jan 27 at CJ Arthur’s Bar and Grill in Wilmette. For singles is July 30 in the Drake Hotel’s classy Palm Court from 7 to 9 p.m. with comedienne Debbie Sue Goodman dishing about the meet market scene. LOL…Funny Girl Debbie Sue Goodman will surely crack’ em up from noon to 1 p.m. Nov 17 at Gilda’s Club, 537 N. Wells St. There’s no cover charge for Goodman’s comedy performance, which is based on her two books, Still Single and Still Dating. 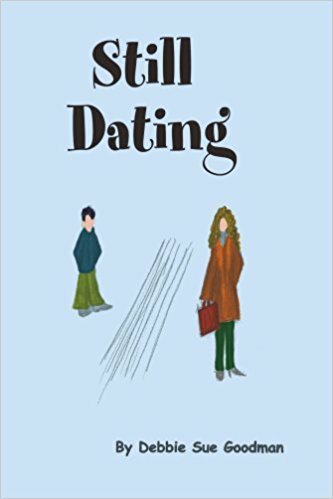 Still Writing…is author/comedian Debbie Sue Goodman, who will sign her two books, “Still Dating,” and “Still Single,” at 7 pm. July 18 at The Book Cellar, 4736-38 N. Lincoln Ave.
Goodman declared. “I do a little Ed Sullivan, too. Some of those laughs could be provided by local comedian and author Debbie Sue Goodman, who performs comedy routines based on her book, “Still Single.” For singles, Goodman advises staying inside, cooking dinner at home and taking to heart such songs as “Baby It’s Cold Outside” and “Light My Fire.” And she recalls, one date she had with a guy who had no heat in his car.”We were like icicles, and then he rolled the window down. I wanted to go to a restaurant close by because I was so cold, but he wanted to go to one miles away.” When they got there, “he told the waiter it was too warm and asked him to turn the air on.” Needless to say, there was no second date. One of four comics who performed a hurricane relief show at Lake View’s Improv Olympic Last week. Debbie Sue Goodman, had the crowd who brought donations of clothing, blankets and towels, etc. in stitches. 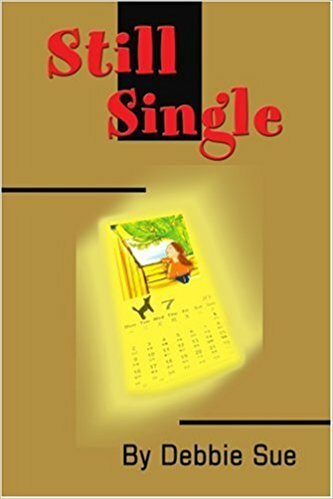 Debbie Sue Goodman, author of the funny book, “Still Single,” hits the big time on Thursday, Aug 7, with an 8pm performance at Zanies Comedy Club, 1548 N. Wells St.
“A Single-ular Sensation”– Skokie Woman’s life is an open book. nice will come along,” she says. book signing to follow at 8:30 pm, Friday Nov. 8th at Miska’s Backroom, 2156 W.
by men in such unlikely places as the post office. Of course, that didn’t work out. date– for a walk. She passed on that offer.